On Earth Day, we focus on the essential element of water and how we can “tend to our wells,” literally and spiritually. (Delivered at Starr King UU Church, CA 4/27/14). One of the teachings of liberal religion is to “never stop questioning.” Questioning, doubting, seeking–these are essential to our religious tradition. Essential, though at times exhausting. Is there a time for trust? When is our curiosity holy? When is it harmful? (Delivered at Starr King UU Church, CA 1/13/13). 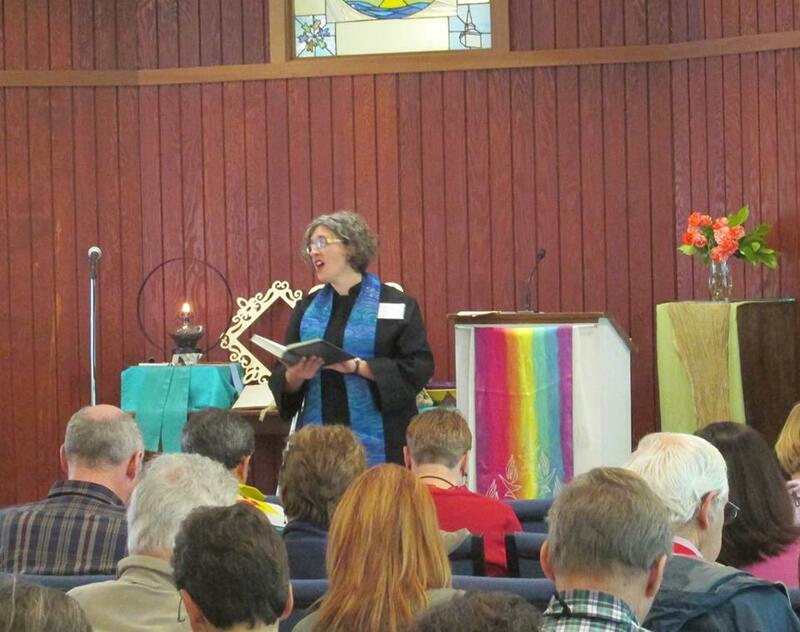 My introductory sermon to the Unitarian Universalist Church of Berkeley. My opening words are from Sweet Honey in the Rock’s song “We Are”, which the choir sung after my sermon. Topics: Unitarian Universalism, embodiment, sexuality education, reproductive justice, power, Dr. George Tiller. If only the woods were the scariest thing we had to confront– while the church was putting on a production of Sondheim’s Into the Woods, the congregation was dealing the news of Gabrielle Gifford being being shot and difficult revelations of abuse in the local community. A liturgical dance offered in the wake of heartbreaking news. Dancer/choreographer Sarah Bush and I co-lead a workshop with congregants that produced this liturgical piece for Easter Sunday.